A refined global style defines this bedroom collection. The media chest offers ample storage, and a Seadrift finish on the wood adds a sun-drenched look. The Newport Media Chest by Home Insights at Great American Home Store in the Memphis, TN, Southaven, MS area. Product availability may vary. Contact us for the most current availability on this product. Handles & Hardware The simple hardware in a Gunmetal finish adds a clean, modern touch. 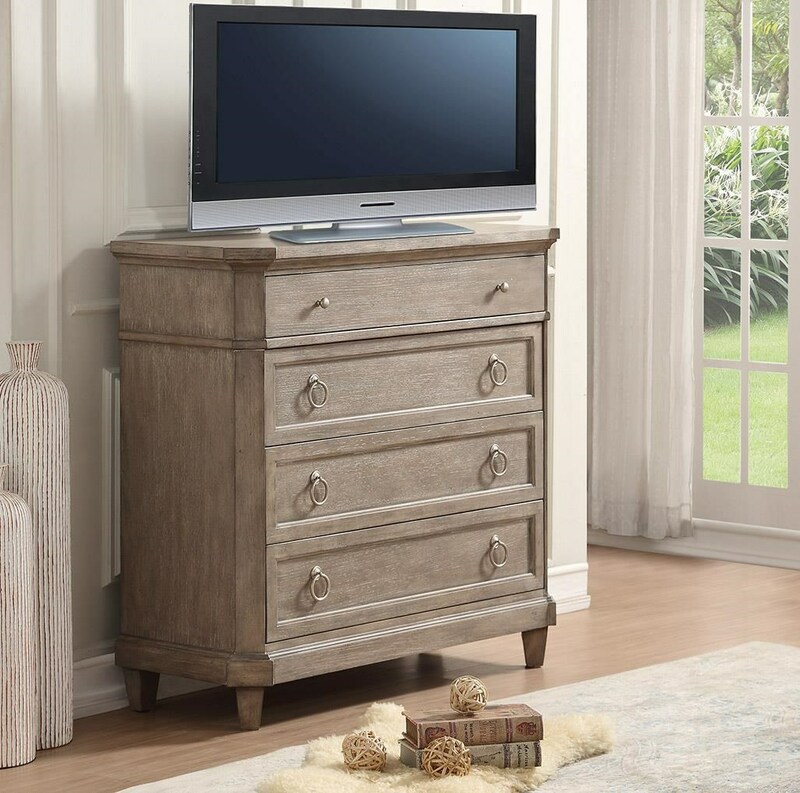 A fresh Weathered Seadrift finish contrasts simple metal drawer pulls to create timeless comfort in Newport. Traditional and transitional at once, Newport is the ideal cottage collection that is equally as at home in the suburbs. The Newport collection is a great option if you are looking for Transitional Cottage furniture in the Memphis, TN, Southaven, MS area. Browse other items in the Newport collection from Great American Home Store in the Memphis, TN, Southaven, MS area.